Today I found out about the history of French fries. Potatoes were first introduced to Europe not through the French or Belgians, but through the Spanish. In 1537, Jimenez de Quesada and his Spanish forces encountered a village in Colombia where all the natives had fled. Among other things, they found in the native’s food stuffs potatoes, which the Spanish initially called “truffles”. In any event, historical accounts indicate that the Belgians were possibly frying up thin strips of potatoes as early as the late 17th century (though some claim it wasn’t until the late 18th century) in the Meuse Valley between Dinant and Liège, in Belgium. How they supposedly came up with the idea was that, in this area, it was very common for the people to fry up small fish as a staple for their meals. However, when the rivers froze up thick enough, it tended to make it somewhat difficult to get fish. So instead of frying up fish in these times, they would cut up potatoes in long thin slices, and fry them up as they did the fish. Giving some credence to this story is that the Spanish controlled much of what is now modern day Belgium at the time the Spanish introduced the potato to Europe. So, at least, the Belgians probably were among the first to have a crack at the potato, in terms of thinking up ways to prepare food from potatoes. Now to the French argument: the popularity of the potato in France is largely credited to a French army medical officer named Antoine-Augustine Parmentier, who very famously championed the potato throughout France and parts of Europe. During the Seven Years War, Parmentier was taken captive and, as a part of his prison rations, was given potatoes. At this time, the French had previously used potatoes only for hog feed and never ate them. The reason being that they thought potatoes caused various diseases. In fact, in 1748, the French Parliament even banned cultivation of potatoes as they were convinced potatoes caused leprosy. However, while in prison in Prussia, Parmentier was forced to cultivate and eat potatoes and found the French notions about the potato just weren’t true. When he came back to France, Parmentier began championing the potato as a potential food source. Finally, in 1772, the Paris Faculty of Medicine proclaimed that potatoes were edible for humans, though Parmentier still encountered significant resistance and wasn’t even allowed to grow potatoes in his garden at the Invalides hospital where he worked as a pharmacist. Parmentier then began a more aggressive campaign to promote the potato in France, hosting dinners featuring potatoes with such notable dignitaries as Benjamin Franklin, Antoine Lavoisier, King Louis XVI, and Queen Marie Antoinette. He also would hire armed guards to surround his potato patch, to try to convince people that what was in the patch was very valuable. He would then tell the guards to accept any bribes they were offered by people and let them “steal” the potatoes. In the end though, it took a famine in 1785 for the potato to become popular in France. Once the French accepted the potato though, its popularity skyrocketed in France. By 1795, potatoes were being grown on a very large scale in France, including at the royal gardens at Tuileries, where the gardens were converted into potato fields. Within that span of time, the French either invented or learned to make fries. Once discovered/invented French fries became extremely popular in France, particularly in Paris, where they were sold by push-cart vendors on the streets and called “frites”. Now, it should be noted that this all happened in the late 18th century, which was as much as 100 years after some people say the Belgians were supposedly already making “French” fries. But by other arguments, this all happened around the same time for both the French and the Belgians. So who knows? It should also be noted that, shortly before the potato became popular in France, the Franco-Austrian war was going on (also known as the War of Austrian Succession), much of which took place around modern day Belgium. So it’s possible that the French soldiers were introduced to fries by the Belgians at this time and, a couple decades later when the potato became popular in France, these former soldiers then introduced the preparation method to the rest of France. Or it’s possible the French came up with the idea on their own and spread them to Belgium around the same time; or that both came up with the idea independently. Whatever the case, it was the French who seem to be the ones that spread fries to America and Britain and it, in turn, was the Americans, through fast food chains, that eventually popularly introduced them to the rest of the non-European world as “French fries”. Ironically, because of this latter spread by American fast food chains, in many parts of the non-European world, “French fries” are more often than not known as “American fries”. While the Belgians may or may not have invented the French fry, today, they do consume the most French fries per capita of any country in Europe. In most of the English speaking world, thin cut and thick cut fries are called two different things, fries and chips, respectively. In North America, it is typical to simply call them all French fries and, when they are distinguished, it is usually just by adding an adjective, rather than using a completely different word: i.e. steak fries (chips), French fries, curly fries, etc. In 1802, Thomas Jefferson had the White House chef, Frenchman Honoré Julien, prepare “potatoes served in the French manner” for a dinner party. He described these as “Potatoes deep-fried while raw, in small cuttings”. (French fries at a White House state dinner…. classy.) This is one of the earliest references to fried potato strips being referred to as “French”. Steak fries, or chips, actually tend to have lower fat content than normal French fries, due to the lower surface to volume ratio. Burger King’s French fries (and probably McDonald’s too) are sprayed with a sugar solution just before being packaged and shipped to the various franchise locations. This produces the golden color through caramelization of the sugar when it is fried. Without this, the fries would end up having about the same outside color as inside after being fried. McDonalds is known to fry their fries twice, the combined time taking about 15 to 20 minutes. Once for cooking the insides and once for making them extra crispy on the outside. Popular condiments to dip French fries in varies quite a bit from country to country. In America, ketchup is typically the dip of choice for French fries. In certain parts of Europe, mayonnaise is king. The British tend to favor malt vinegar for dipping their fries. The French themselves tend to just eat the fries straight as often as not. I personally prefer Ranch or Blue Cheese dressing with highly salted French fries. Belgians, who are the world’s connoisseurs when it comes to French fries, occasionally will serve French fries with egg as a topping. 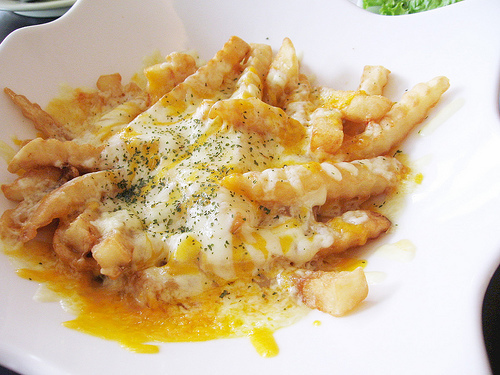 The raw egg is cracked over the French fries immediately after the fries have been pulled from the fryer. This tends to mostly cook the egg, but leaves the yoke somewhat runny for dipping the fries in. Cultivation of potatoes is thought to have started around the same time as the start of the Common Era, around 2000 years ago in Peru and Bolivia. It gradually spread from there throughout South America. These early forms of the plant were fairly bitter and tuber-like. The word “potato” comes from the Haitian word “batata”, which was their name for a sweet potato. This later came to Spanish as “patata” and eventually into English as “potato”. The slang term for potato, “spud”, comes from the spade-like tool that is used to harvest the potatoes. When the potato was first introduced to Ireland and Scotland, it was met with quite a bit of resistance from Protestants there, due to the fact that the potato wasn’t mention anywhere in the Bible; thus, it wasn’t clear whether it was acceptable to eat, so they refused to plant them at first. The Catholics, on the other hand, chose to sprinkle them with holy water before planting, thus making them acceptable to plant and eat. Potatoes also met with resistance when first introduced to Europe as a whole, due to the fact that the Europeans were convinced potatoes caused a variety of diseases and were also thought to be poisonous. Tomatoes also were thought to be poisonous by many, when first introduced to Europe from the new world. Parmentier not only championed the potato, but he also was responsible for the first mandatory smallpox vaccination in France in 1805, when he was the Inspector-General of the Health Service under Napoleon. Parmentier was also the one who invented the French dish, Hachis Parmentier, a variation of which is also sometimes called “Shepperd’s Pie”. Hachis Parmentier is basically ground beef topped with mashed potatoes and cheese. Variations on this dish include adding gravy, corn, or other vegetables. In addition to the above, Parmentier also founded a school of bread making; was a pioneer in methods for extracting sugar from sugar beets; and heavily researched food preservation methods, including refrigeration. During the 19th century, Ireland was almost completely dependent on the potato as the primary food source for most of its citizens. This lead to the catastrophic potato famine of the 1840s when a certain strain of fungus almost completely wiped out the potato in Ireland. “To French”, in cooking, now commonly refers to cutting any food into long thin strips. 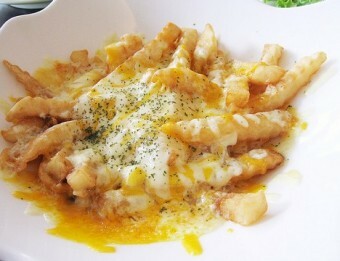 The origins of this phrase comes from the late 19th century, so well after the term “French fried potato” was common. The French term “frite”, for fries, indicates deep frying, whereas, in English, “fried” could mean deep frying, sautéing, or pan-frying. 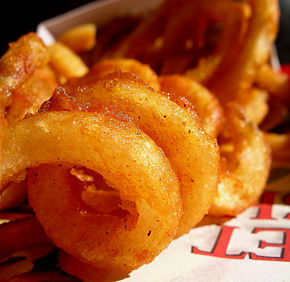 Probably for this reason, “French fried”, has come to mean “deep-fried” in English, regardless of what is being fried. According to many of the “Belgian origin” supporters, French fries are called French fries because, during WWI, American soldiers were introduced to fries by the Belgians. At the time, the Belgian Army spoke French. The fries were called “Les frites” (which is French) by the Belgians and so the American soldiers took to calling them “French fries”. This theory is incorrect, for a couple of reasons. First, as mentioned, in the 1800s, Thomas Jefferson referred to fried potato strips as “frying potatoes in the French manner”. 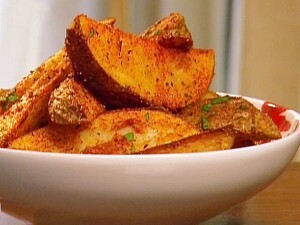 In addition to this, there is an American cookbook from the 1850s that specifically uses the term “French Fried Potatoes” to describe French fries; there are also numerous other references to “French Fried Potatoes” from the 1850s on, in the United States; these all obviously pre-date WWI. Between the 1850s and 1930s, French fries were known more illustratively as “French fried potatoes” in America. Around the 1930s, everybody dropped the “potatoes” on the end and just called them French fries. Dipping?!?! no-one dips their chips in vinegar. The vinegar is splashed or drizzled over the chips, much like the way the salt is sprinkled. Glad you picked that up. As a bonus fact here in Australia neither plain salt nor vinegar is favoured. Instead it is chicken salt that is the preferred condiment. jimenez de Quesada visited COLombia in 1537, not Columbia. I’m Colombian and it somewhat bothers me when people mistake the two, although the real reason this should be fixed that this site is aimed at informing people not with inaccuracies but with factual information. @Ivan: That’s good information. I don’t mind grammar Nazis, in general. I only mind troll grammar Nazis. Your comment was not in any way trolling though. It was just good information. You need to correct your information about the origin of the word potatoes because the original word of potatoes is Arabic and the Arabs introduced it to Spain when Arab Muslims occupied Spain.potatoes in Arabic is Patata and thats how the word came about. @khaled: Sources? I’d be surprised if that were true because the potato came from Peru where they were cultivated as far back as 3000 BC. Further, when the Muslims first occupied Spain around the 7th century, South America was obviously unknown. It wasn’t until much later that Spanish sailors brought the potato back to Europe from South America. And, of course, every reputable source I’ve found thus far says the etymology of the word is as stated above. Man they are way off on this one. I invented the potato in 1954 from the tiny wild potatos growing at my great aunts house in Croswell Mi. I proliferated the size to usable then in 1956 I invented the deep fryer and lard deep frying at Chicken in the rough resteraunt Pine Grove avenue Port Huron Mi. Shoestrings they were first called. Then after I invented all the varieties we have today over the years. Are you related to Al Gore? About the origin of the word, “batata” is not a Haitian word, is a Taíno word. I know that some Taínos lived on what is now Haiti, but the Taíno came first than Haitian Creole, so I think it is more accurate to say that batata is a word of Taíno origin. Now, some complementary information about the name is that in most countries of Latin America (in all of them, I think) the word used is “papa” which is a word in Quechua, the language used in the Inca Empire and the language, alongside spanish, that is still in use in Peru and Bolivia. I think that the word “patata” is only used in Spain. Belgium did not exist until 1830. The reference to the French fry having its beginning in the area between Dinant and Liege should indicate that it was not in Belgium, but in the Netherlands, Southern Netherlands as the area was referred to from the Treaty of Vienna in 1815 until 1830. @Richard, II reply to your comment (http://www.todayifoundout.com/index.php/2010/09/the-history-of-french-fries/) Yes that’s true but people refer to “french fries”, not fries in general. Like a Belgian story says where the name “French” comes from that was added to “fries”. I’m Belgian by the way and I haven’t seen any proof of that story to be true. So people think of Belgium’s French fries because of that story I might think. The truth about fries is that it originated in France (noted I said only “fries”) in 1760; this is the earliest origin of that word in a monastery in Bourgogne. Thus we know because recipes do still exist from that time frame that fries weren’t cut in slices, in thin tranches, but were round. Squashed potatoes, dipped in flower (with or without herbs) and cooked in grease. This is literally mentioned in recipes from that time. To make a story short, we know it was prepared this way and was called “fries”, when it was cut in slices NO indication or proof exist to this day. Thus we do not know WHEN someone came up with the idea to cut it in slices. We do know where it originated from and that’s Paris, France. @Vincent, I reply to your comment of 2013 YES! (http://www.todayifoundout.com/index.php/2010/09/the-history-of-french-fries/) Yes that’s true but people refer to “french fries”, not fries in general. Like a Belgian story says where the name “French” comes from that was added to “fries”. I’m Belgian by the way and I haven’t seen any proof of that story to be true. So people think of Belgium’s French fries because of that story I might think. The truth about fries is that it originated in France (noted I said only “fries”) in 1760; this is the earliest origin of that word in a monastery in Bourgogne. Thus we know because recipes do still exist from that time frame that fries weren’t cut in slices, in thin tranches, but were round. Squashed potatoes, dipped in flower (with or without herbs) and cooked in grease. This is literally mentioned in recipes from that time. To make a story short, we know it was prepared this way and was called “fries”, when it was cut in slices NO indication or proof exist to this day. Thus we do not know WHEN someone came up with the idea to cut it in slices. We do know where it originated from and that’s Paris, France. It’s “Shepherd’s Pie”, as in eaten by shepherds, not Sheppards. Also, Ferdinand and Isabella sponsored Columbus’ voyage in 1492 precisely *because* the Moors had been expelled from the Iberian Peninsula and all of Spain was under Christian control. @Dylan: Yep, thanks for catching the typo! On your second bit, is that just a little bonus fact or were you specifically referencing something in the article? you mean, “isn’t entirely known” ??? Your first and fourth pictures show potato CHIPS, which have a nice crusty exterior and a somewhat edible interior. If the potato is cut perpendicular to the long axis into thin (about 1mm thick) discs, dumping these into boiling oil will produce CRISPS which are, well, crisp all the way through; they get put into airfilled packets (to prevent squashing) and consumed cold – and noisily – in large quantities at movies, barbeques, sports events etc. Chips on the other hand are much more likely to be served hot on a plate alongside steaks, vegetables, burgers etc. Crisps are therefore likely to be deepfried almost by definition, while chips can be fried in a variety of ways. Unfortunately for you, everything you said is only true in one location, Great Britain. In the US and Canada, and most other areas of the world, what you describe as “Crisps” are Potato CHIPS (and since they were originally created in upstate New York, Saratoga in fact, and called Potato Chips by the chef who originated them, you are, frankly, wrong). As mentioned in the article, in SOME parts of the world, some countries call what you are referring to as “Chips”, but in most other countries, they are called Thick Cut Fries, Steak Fries, or Wedges (or use a localized version of one of those names). Most of the world would use the American terms, since they’ve predominantly been introduced under their American labels to the local populations by American companies or military members. 1. TIFO is wonderfully informative. Thank you for your efforts. As to “it is well established…”, well it is not. Potatoes originated in Peru (fact). Spain conquered and colonized Peru in the second half of the 16th century (fact). Spaniards introduced new foods, spices, animals, and techniques including frying (fact). By analogy the Portuguese introduced frying to Japan (Catholics ate a lot of fried fish during during lent: Tempora). Thus derives modern Japanese Tempura. Most likely fried potatoes were made and consumed in South America long before potatoes were introduced and later popularized in Europe. Think about it why wait two hundred years to fry readily available potatoes when you are already frying fish and other foods? I hope my comments lead to more thoughts on this. Happy eating Papas con Aji! @Gustavo, Just additional information on your comment in 2014 YES! (http://www.todayifoundout.com/index.php/2010/09/the-history-of-french-fries/) I’m Belgian by the way. The truth about fries is that it originated in France (noted I said only “fries”) in 1760, this is the earliest origin of that word in a monastery in Bourgogne. Thus we know this because recipes do still exist from that time frame that fries WERE NOT cut in slices, in thin tranches, but were round. Squashed potatoes, dipped in flower (with or without herbs) and cooked in grease. This is literally mentioned in recipes from that time. To make a story short, we know it was prepared this way and was called “fries”, when it was cut in slices NO indication or proof exist to this day (or not discovered) Thus we do NOTknow WHEN someone came up with the idea to cut it in slices. We DO know where it originated from and that’s Paris, France. Not Belgium. I’m swallowing my proud for this one! I’m assuming you meant encountered. I believe someone already mentioned this, but “Columbia” should be Colombia. @Kevin: Thanks for catching those. Fixed! Gustavo – Excellent thoughts and fascinating information. Basil – I appreciate your thoughts on the names of fries versus chips versus crips… but please include what part of the world you are speaking for. I am guessing Britain? In the United States those are all types of |”fries”hose are ‘chips’ in Britain but they are “fries” here in the states. In the my part of the U.S. anyway (upper Midwest) the first are ‘French fries,’ the second ‘curly fries,’ the third ‘steak fries’ and the last ‘seasoned fries’… but they could all safely just be called “French fries’ as they are all just various variations of French fries. I like having my fries with mayo and the waiters hate me for it since it slips their mind and they have to go back to the kitchen. For a kick in the pants at home, I will add some cayenne powder for some extra deliciousness. I used to work at McDonald’s, and we did not fry the fries twice. Drop the bucket, hit the timer. when the timer goes off, lift the bucket and drain. Shake the bucket, dump the fires in the bin and salt them. I still see that procedure, so where do you get the idea they fry them twice? Yes, you are correct. They are pre-fried, then left to cool before being fried again. A skin forms on them and this way you get a nice crispy skin and soft center. My family had fish and chip shops in New Zealand for years. McDonald’s also does the same procedure. And any fries you buy to cook at home, oven fries, etc, are all precooked. If you cook them from scratch, they tend to burn on the outside without getting the inside soft. And you won’t get the decent skin you’ll get on a traditional chip or fry. A cold, thinly cut potato slice is a potato chip to New Zealanders, what the British call a crisp. Hi, a belgian here, we actually fry our delicious fries twice. There are specific rules concerning temperature for the first and second bakingperiod. And we mostly eat them with mayo (sometimes adding a belgian beef-and-beerstew). What is called French fries or fries in the US, is called chips in the UK. In those years was potatoes cut in four parts and yes with mustard . In that time Belgium was full of friteries with all the sauces you can dream about . So please stay close to your own experience. Not some google search for so called correct History. Thank You Frites is a genuine original Belgian Product. Come and check it out in France Holland and Belgium. Even the Dutch sell Flemish Original Fries in Amsterdam. Give me a break. You do know history didn’t begin when you were born….don’t you? @Erwin Cools. I refer to your comment of 2015 at http://www.todayifoundout.com/index.php/2010/09/the-history-of-french-fries/#comment-1673373 French fries didn’t originated from Belgium at all. Belgians like to believe that. A journalist/historian Jo Gérard wrote an article about how in a manuscript from 1781 was describes how “poor” people cooked their potatoes that were sliced in fin tranches. Only no manuscript was found. He couldn’t tell us where he found that manuscript or where it originated from. It was simply not the truth. 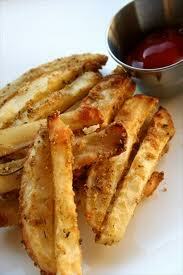 Further, the word “fries” was first discovered in Bourgogne, France in a monastery on some document. We do not where or who added the word “French” to “fries”. I know about the story about WWWI soldiers who ate fries as we know today, and because the army was officially French speaking, it is said that they added the word “French” to it. Only no proof or real indication has been discovered. Furthermore… it is not know at all (this means not discovered) who or when people started to slice their potatoes in thin tranches. We do know that it originated in Paris, France. Sorry to tell you this. I’m also a Belgian and love to eat it with “sauce americain”. I researched it as much as possible. A historian with an university degree from the university of Liège, wrote an article about this, Pierre Leclercq, that was based upon proof (recipes from the old days) and facts that were written down in old documents. Fries with an egg on it? It is probably delicious… but as a Belgian I never heard of it and saw it in belgium. What we put on it if we go to a “Friterie” or “Frituur” is beefstew or beefstew saus… or Vol – au – vent or balls in tomato saus. Britain is not a country. Geographically it is the British Isles, politically it is the United Kingdom, although I do hold a British Passpost. British is a throw back to the British Empire, now the Commonwealth. The British Isles contains 4 countries, the largest being England, with Ireland, Wales and Scotland. Regarding the potato, what was the role of Sir Walter Raleigh in taking the potato from Virginia to England? The article’s author makes it seems like the Americans were the only ones who fought WWI. The thing is, the Americans didn’t enter the war until the last year: 1917 – 1918; so it’s more than likely that “French” fries were introduced to the Canadians fighting in WWI as we were there from the start to the end: 1914 – 1918. We Americans didn’t send soldiers until 1917, but there were many hundreds of other Americans there from the start of the war; these included volunteer ambulance drivers (my uncle was one), volunteer nurses, doctors, mechanics, and legions of women volunteers who worked close to the lines, making food (including doughnuts) for the soldiers of all nations, acting as hospital personnel and even fixing the Model T ambulances. And these were simple citizens, not part of the Army! They didn’t have to be there. And, please remember that all the heroic French, British, Canadian, African, etc. forces couldn’t do diddly-squat against the Germans in 3 years of slaughter. In Sept. 1918 the Americans launched their first major offensive….and it was all over in 2 months. Europeans should spend less time fussing about French Fries and give thanks that they aren’t all speaking German. P.S. We have a house in France and love visiting. There was good reason for thinking the tomato was poisonous, as it is closely related to deadly nightshade which produces medicinal substances (hyoscamine, scopalamine and atropine). These are all muscuranic antagonists that are still in use today as individual medications and in combination with phenobarbital (belladonna alkyloids with phenobarbital, though I think this is more to prevent abuse because this combo isn’t controlled). These are medications that can easily reach toxic doses at quantities of plant that could easily be ingested. Hi, I have a small question. Do you know since when the differences between different countries regarding the sauce? Since when did the Belgians started with mayonnaise and the brits with Vinegert? And also, are there any other typical examples you can come up with for European states that have distinct taste for a sauce? Just a small nit to pick… And yes, yes I know this article is old but I’m compelled to write this because this site’s usually pretty factual. Err… It’s not like there was just one “American” people. There were many, many culturally (and even ethnic, meaning genetic, variations) diverse peoples in the “New World.” Given the nature of the beast that is humanity, they even traded with one another. It’s a real stretch to say that the Belgians were probably “among the first to have a crack…” In fact, they were probably nowhere near the first to have a go at it. If you want a probability, one probably could surmise that some Amerindian, somewhere, tossed some sliced potato onto a hot stone and let it cook. They also had a variety of oily substances so they may well have fried the thing in potato long before Europeans were even aware of the continent. Those are some probabilities… 😉 They’re far more probable than the Belgians (or French) having anything at all to do with it. ‘Tis a shame, you’re usually more astute and accurate here. I get the newsletter but only started that maybe a year ago – though I’ve visited off and on for much longer. Alas, you don’t have a plugin setup so that I can elect to be notified of responses to this – I’ll include my email and use a real link for once. I expect to be accredited and a formal correction to be published, this week! *snickers* Obviously, not really. I just found it amusing that you’d overlook that. ‘Cause, you know, from the way I see things – they weren’t really among the first. As an aside, and while on the subject of South America – there’s a whole bunch of interesting things one could write about concerning vanilla. I just did a quick search and nothing popped up. Vanilla actually has a fairly interesting history. Oh, the puns I could make but I’ll spare you. @KGIII, I reply on your comment of 2016. In VERY short… The word “fries” was already used in 1760 in recipes in France. Further fries didn’t meant that it was cut in slices, in thin tranches but they were made round. They were squashed potatoes dipped in flower and than cooked in grease. We do not know when people started to cut the potato in slices but we do know that this originated in France. About the story “French” that was added by the Belgians, their is no proof or indication at all for this claim. By the way, I’m Belgian. I once heard that the gender of the word for French fries is different in France from what it is in Belgium. One source gives the plural for “less pommes frites” as “indefinite,” which would indicate that it is not feminine. The presentation should have mentioned why the Irish were mostly dependent on the potato. The occupying Anglican and Protestant landlords grew various crops. What was left for the Irish Catholic serfs were small patches of land. About the only crop they could successfully grow on the small patches was potatoes. When the famine hit, it was potatoes that it hit. There were at least two reasons given by the landlords for not feeding the Irish Catholics out of their abundant supply of food. 1. Some said that the laws of economics should not be disobeyed, and so the crops should be marketed to the non-Catholic Irish, to the English, and to other nations. Herbert Spencer had defended slavery against some economists who opposed it by calling economics “the dreary science.” But he also articulated the extreme of the capitalist approach with the phrase “survival of the fittest,” which came to be applied to evoution in general; and it was adopted with some reservations by Darwin. So some said that if the Irish starved, that was because the law of survival of the fittest had to be allowed to apply. 2. Darwin did say that if the Irish died out, perhaps that was simply the laws of evolution working out their principles. Note that Catholic priest evolutionist Father Teilhard de Chardin, SJ, suggested a century later the same point about aborigines when he opined that if the aborigines (e.g., in Australia) were dying out, it might just be the ineluctable and inevitable laws of nature playing themselves out. McDonald’s fries are NOT fried twice. They are cooked exactly 3 min 20 sec and are held in the fry bin for 7 minutes. McDonald’s also does NOT coat their fries with anything, unlock BK. They are cooked in 100% pure Vegetable oil. That is filtered daily and changed when it gets too dark. And yes I have worked there. I was a manager. They are fried and prepared perfectly before they ever reach the McDonald’s stores. What you got was a pre-prepared frozen version of the fry that simply needed fried once more to be ready for the customer’s mouths. See Meg’s comment below. My whole family is from Belgium. When i was young I never saw any French fry carts in France but they were all over in Belgium. I think durring the war they heard the people making the french fries speaking french. Most people in Belgium speak french so thats why they called them french fries. @Cherryh2o, apparently you do not live in Belgium. I do and am Belgian from birth. The story about the American soldiers from WWWI and the connection with the french speaking people of Belgium so that they added the word “French” to it is just a story. There is no proof at all. No letter from a soldier who told about this, nothing. There are more Flemish than French speaking people in Belgium. The earliest known recipe for something similar to today’s potato chips is in William Kitchiner’s cookbook The Cook’s Oracle, first published in 1817, which was a bestseller in England and the United States. The 1822 edition’s version of recipe 104 is called “Potatoes fried in Slices or Shavings” and reads “peel large potatoes, slice them about a quarter of an inch thick, or cut them in shavings round and round, as you would peel a lemon; dry them well in a clean cloth, and fry them in lard or dripping”. Early recipes for potato chips in the United States are found in Mary Randolph’s Virginia House-Wife (1824), and in N.K.M. Lee’s Cook’s Own Book (1832), both of which explicitly cite Kitchiner. I read that sherpherd’s pie technically must use lamb as the meat. For obvious reasons. Cottage Pie is what you reference with ground beef.